Just in time for Christmas, here is a great recipe! 2. Puree cranberries and mix with applesauce. Once combined add milk, cinnamon and flour until dough is well mixed. 3. Knead dough into ball and roll onto a heavily floured surface 1/4 inch thick and cut with cookie cutter of your choice. 4. Place on prepared baking sheet and bake for 10 to 15 minutes or until browned at the edges. 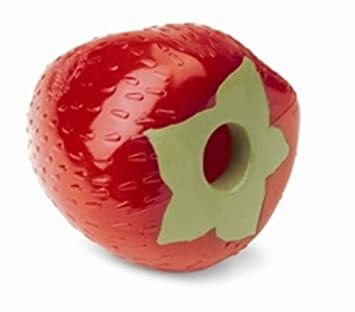 Makes between 2-4 dozen treats, depending on the size of the cookie cutter you use. You can store in a jar, if not used up in a couple weeks, freeze the rest. 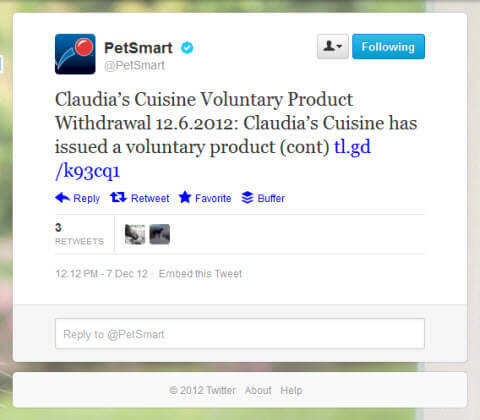 December 7, 2012 – PetSmart has announced Claudia’s Cuisine has issued a voluntary product withdrawal for its 7.5 oz Dog Candy Fruit Hound Cake and Dog Candy Blueberry Hound Cake. The products are being voluntarily withdrawn due to the potential to contain mold. Claudia’s Cuisine has not received any reports of illness associated with the affected product. For this reason, we are including below a screen capture image of the actual PetSmart Twitter update posted at 12:12 pm ET Friday. If you suspect your Claudia’s Cuisine Dog Candy product may have mold growth, the company suggests consumers bring the item to your closest PetSmart store for a full refund. If you have any questions about this voluntary withdrawal, please call Claudia’s Cuisine’s Customer Service at (501) 851-0002 or email Irma@claudiascaninecuisine.com. December 6, 2012 – The Food and Drug Administration is warning pet owners and caretakers not to feed their animals certain lots of Nature’s Deli Chicken Jerky Dog Treats because they may be contaminated with Salmonella bacteria. The affected products include packages with a lot code of BESTBY061913DEN. Today’s FDA warning is an expansion of the recall posted by The Dog Food Advisor in early October. The treats are made and distributed in the U. S. by Kasel Associates Industries Inc. and were sold at Costco stores in the Denver, Colorado area. Although Kasel has declined to perform a voluntary recall at this time, Costco is working with FDA and has removed all of the affected products from its shelves. The company will also contact customers who may have purchased the product to provide additional instructions. 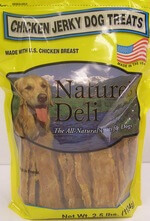 The product is sold in 3 pound packages labeled as Nature’s Deli Chicken Jerky Dog Treats. The package also includes a digital photo of a dog on the front panel and transparent sections to view the product within. In September 2012, a retail sample of a Kasel dog treat product was tested by the Colorado Department of Agriculture and found to be positive for Salmonella. An FDA follow-up inspection at the firm found certain finished dog treat products and 34 out of 72 environmental samples positive for Salmonella. In November 2012, a retail sample of Nature’s Deli Chicken Jerky Dog Treats taken by the Colorado Department of Agriculture tested positive for Salmonella. Pets with Salmonella infections may become lethargic and have diarrhea or bloody diarrhea, fever and vomiting. Some pets may experience only a decreased appetite, fever and abdominal pain. Infected, but otherwise healthy pets can be carriers and infect other animals or humans. If your pet has consumed any of the affected product or is experiencing any of these symptoms, contact your veterinarian immediately.